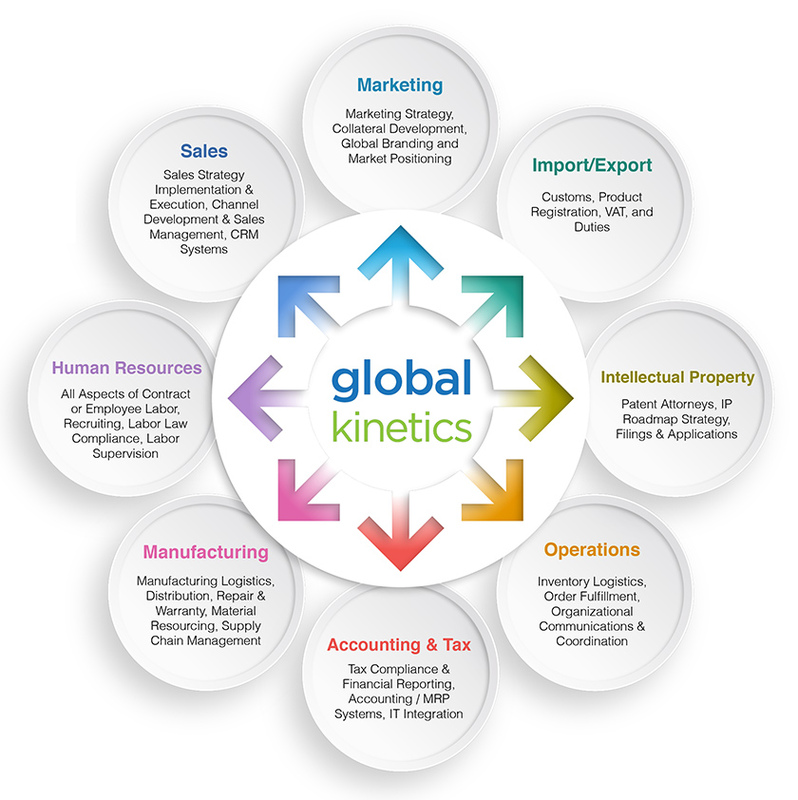 Global Kinetics offers a customized set of services. These services are implemented in phased approaches to help you navigate the international marketplace. Offering pathways to increased revenue, reduced costs and shortened time to market are some reasons customers choose Global Kinetics as their internationalization partner. We provide the know-how and execution strategy necessary for successful market penetration. We understand the obstacles that companies face when expanding globally; thus, we work with our clients to minimize their risk and maximize their return on investment. Global Kinetics’ business strategy focuses on providing innovative and cost-effective solutions for companies wishing to increase international sales. Initially, we work with companies in their export activities with the ultimate goal of preparing them for incorporation into the European (EMEA) marketplace. As corporate consultants, we offer a full spectrum of services to guide them through this process. Just as no two companies are alike, no two strategies are alike either. Global Kinetics works with our clients to identify their particular resource needs and then create a viable strategy with a predictable cost-of-capital model. Combining the client with Global Kinetics and its partner resources, we build a solid team to execute a solid market strategy plan. For information on how Global Kinetics can provide international sales support, please contact us.